The World Advanced Vehicle Expedition (WAVE) Rally was launched in 2011 with the objective of starting to change road transport to electric vehicles powered by energy from the sun, wind and wave. The WAVE Trophy electric car rally is not only the world largest EV rally, but is also an excellent testing ground for all types of electric road vehicles, with advanced batteries, motors and controllers evaluated in tough real life conditions. Green MotorSport was the first team to represent Great Britain in WAVE back in 2011 and has been representing Great Britain for over 5 years in the WAVE trophy. The WAVE rally is one of the main proving grounds for all our automotive electric drive technologies. Each year the number of electric cars, vans and bikes participating has increased with the Guinness Book of Records confirming that a world record number of 481 battery powered vehicles took part in WAVE 2014. 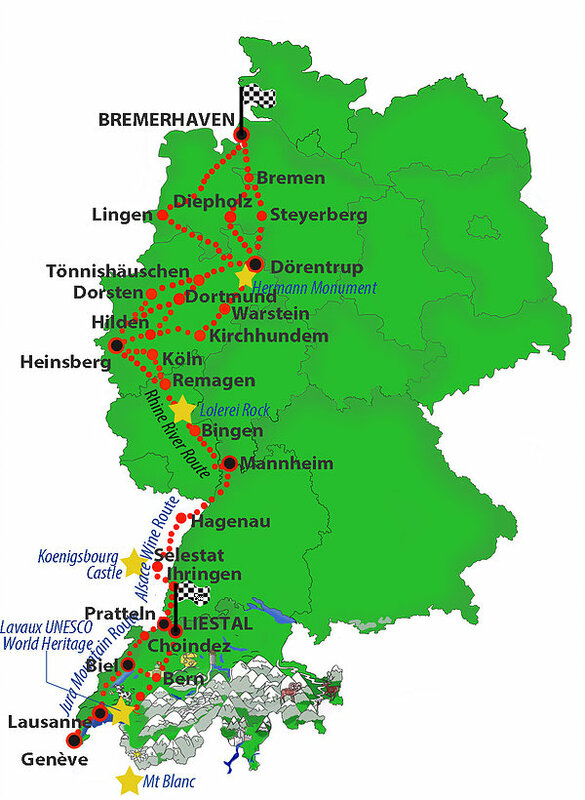 The 6th WAVE will take place in June 2016, with a route starting in Bremerhaven and visiting Switzerland, with a climb through the high Alps. Routemaster will be tracking our every move on the rally using a state of the art real time tracking system installed in the car. The WAVE organisers assist by installing the latest recharging equipment en route, which will enable fast charging. Each WAVE adds to the number of European recharging points which are powered by energy from the sun and wind, so that drivers of zero emission vehicles will in due course be able to travel freely around Europe. If your company would like to join or support our dedicated WAVE team in 2017 we have various opportunities to suit nearly every budget from technology partners to Corporate sponsorship packages. Contact www.greenmotorsport.com for more information. Set up in 2000 AGM Telematics develops and delivers market leading fleet management and vehicle tracking solutions designed around the customer, for the customer.